Hearing loss is a common occurrence as you age. However, it is also possible for hearing loss to occur as a result of other factors as well. There are certain factors that can increase your risk for damage caused to the inner ear, which leads to hearing loss. There are some risk factors that cannot be helped, but there are others that can be avoided and prevented. 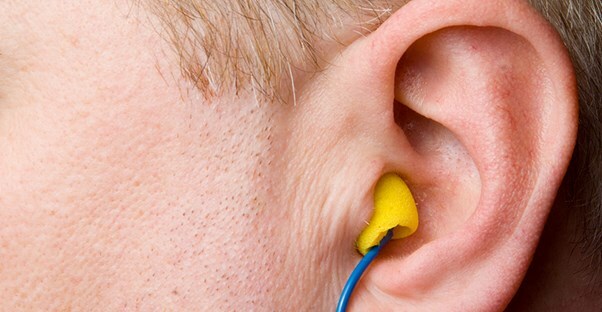 Age: Your risk of hearing loss will increase as you get older. 25% of people in the United States who are between the ages of 55 and 64 have some degree of hearing loss. At the age of 65 and older, the statistics nearly double, with almost one in two Americans of this age experiencing hearing loss. Occupational noises: Being exposed to loud noises can damage the cells that make up your inner ear. If you work at a job that has loud noises as a regular part of your working environment, this could contribute to your risk of developing hearing loss during your lifetime. Occupations could include farming, construction, and factory work. Recreational noises: Damage to your hearing could occur with long-term exposure to loud noises, but it can also occur from short blasts of explosive noises. Sounds that can cause immediate, permanent hearing damage could include firearms, jet engines, snowmobiles, motorcycles, and extremely loud music. Medications: There are certain medications that can cause damage to your inner ear. Some examples include the antibiotic gentamicin, certain chemotherapy medications, high doses of aspirin, pain relievers, antimalarial drugs, and loop diuretics. Some medications cause temporary damage or ringing in the ears while others can cause permanent hearing loss. Illnesses: There are certain diseases and conditions that can cause damage to the cochlea because of a prolonged high fever. One example is meningitis, which causes swelling in the brain and spinal cord. Heredity: You could be more susceptible to ear damage because of something in your genetic makeup that you inherited from your parents. Protecting your ears when around loud noises: If you are exposed to loud noises in your workplace, look into investing in some specially designed earmuffs that can protect your ears by bringing loud sounds down to an acceptable hearing level. There are also foam, pre-formed, or custom-made earplugs that can help to protect your inner ear from damaging noises. Have your hearing tested: If you work in a noisy environment, consider having your hearing tested regularly to make sure that it is still where it should be. Early detection of hearing loss helps you to be more prepared to prevent further hearing loss in the future. Avoid being around recreational risk factors: There are some voluntary activities that can cause permanent damage to your hearing, such as snowmobiling, hunting, and listening to extremely loud music. When possible, avoid these activities or wear hearing protectors to minimize the damage as much as possible.